The investigation into the circumstances that led to Bobbi Kristina's death Sunday has just been amped up ... TMZ has learned it's now officially a homicide investigation. Law enforcement sources tell us, both the D.A. and the cops are treating the mystery as foul play, and Bobbi Kristina's boyfriend, Nick Gordon, continues to be a person of interest. Although months have separated the incident in which Bobbi Kristina was found submerged in her bathtub from her death Sunday, law enforcement is confident there will be no problem finding a direct link between the 2, and they have felt from the beginning there was foul play. 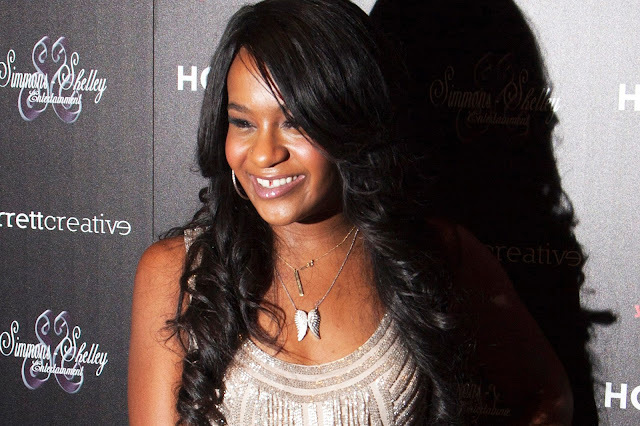 TMZ broke the story, first responders noticed injuries on Bobbi Kristina's body. Reports say that a funeral service for Bobbi Kristina Brown will be held Thursday in Atlanta, Georgia. One person who will not be invited to the funeral is Bobbi Kristina's boyfriend Nick Gordon, who learned about her passing "just like everyone else did, from the Internet." One insider told Hollywood Life, “Absolutely no plans on broadcasting the funeral. Just like the deathbed photo that has been shopped around, they don’t want to have anyone financially gain from her loss. The family doesn’t want anyone to make money from this tragedy and make this more of a spectacle than it already has become." “Some of Whitney’s bodyguards have flown to Atlanta to help transport the body. They will have two ceremonies — one in Atlanta, where her friends and much of her family live, and then one when she’s buried," another source added. After the service, Bobbi Kristina's body will flown to New Jersey, where she will be buried next to mom Whitney Houston at Fairview Cemetery.